"On our way home, we stopped in Vegreville for one last look at the Pysanka-and, posing in front of it while my dad pulled out his camera, I wanted to cry. Are we doomed? Click. Is this all we are? Click. How do we drag ourselves out from under the shadow of the giant egg? Click." 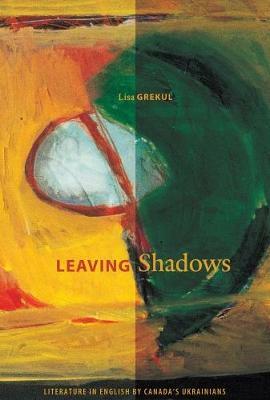 Conceived in a fervent desire for fresher, sexier images of Ukrainian culture in Canada, and concluding with a new reading of enduring cultural stereotypes, Leaving Shadows is the first Canadian book-length monograph on English Ukrainian writing, with substantive analysis of the writing of Myrna Kostash, Andrew Suknaski, George Ryga, Janice Kulyk Keefer, Vera Lysenko, and Maara Haas.